Compact all-in one design eliminates Cable Clutter and simplifies the install with a single all in one camera and codec mounted on a screen. The Polycom Debut is ideal for Huddle Rooms and Small environments. These rooms are normally wider than they are deep. 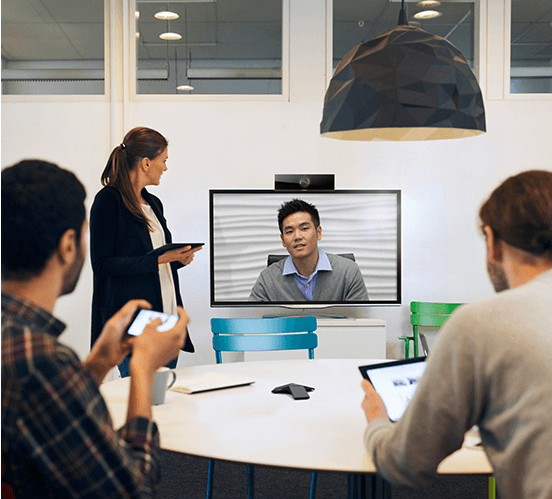 The Polycom Debut delivers a cost effective solution for smaller organisations that are looking to do video conferencing. Content sharing is done by simply plugging a cable into your laptop to automatically start sharing. You can also use the Polycom Smart Share Technology to wirelessly connect your mobile device to the Polycom Debut. This allows content sharing and annotation. I strongly recommend the Polycom Debut as it is extremely cost effective, easy to use and simply gets the job done. Dwain is an AVC sales executive and has worked in the Audio Visual Industry for nearly 5 years.